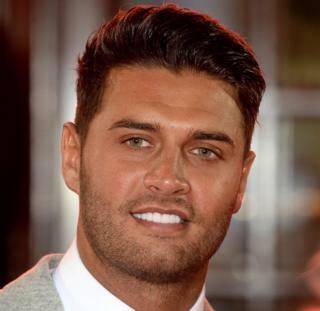 Love Island star Mike Thalassitis has died aged 26, his management has confirmed. The reality television star and former footballer was reportedly found dead in London on Friday. Several reality TV stars posted tributes to Thalassitis. The Only Way Is Essex star Ferne McCann wrote: "So so so so sad. Mike you absolute gent. I have no words." She added: "My heart and soul and love goes out to his friends & family. Too young. RIP." Montana Brown, who also appeared on Love Island in 2017, told the BBC: "Mike was so misunderstood - on television he was known as playing the ladies and everyone had this perception that he was this classic lad that didn't have feelings. "I can honestly say, Mike was thoughtful, caring, and so fiercely loyal to his friends and family and really would do anything for them. "I am absolutely in shock of the news. In fact I don't even quite believe it yet as I spoke to him yesterday." Jonny Mitchell, who became friends with Thalassitis after appearing on Love Island with him, said in a post on Instagram he was "heartbroken" by the news. He said: "I genuinely can't believe what I'm seeing here. "My boy from the villa and one of my best mates from the show coming out. An absolute hero and a legend and someone I personally looked up to, always full of so much positivity and charisma. "One of the best people I've ever known taken from us far too soon, I'm heartbroken and can't put into words how much I'm gonna miss you bro!" Fenton tweeted: "I'm lost for words. My heart breaks for your family RIP MikeThalassitis." And Bowen wrote: "I can't get my head round this RIP brother." The actress Sheridan Smith tweeted that Thalassitis's death should be a "wake up call". She said: "This should be a massive wake up call. I feel sick, reach out, sometimes to the most confident friend. We can only learn & try to change." A spokesman for ITV, which produces Love Island, said: "Everyone at ITV2 and Love Island are shocked and saddened by this terrible news. "Everybody at Stevenage FC is shocked & saddened to hear the tragic news about former player Michael Thalassitis," the club tweeted. "Our sincerest condolences go to his family & friends." Thalassitis was born in Edmonton in London and played football for clubs including St Albans and Chelmsford.